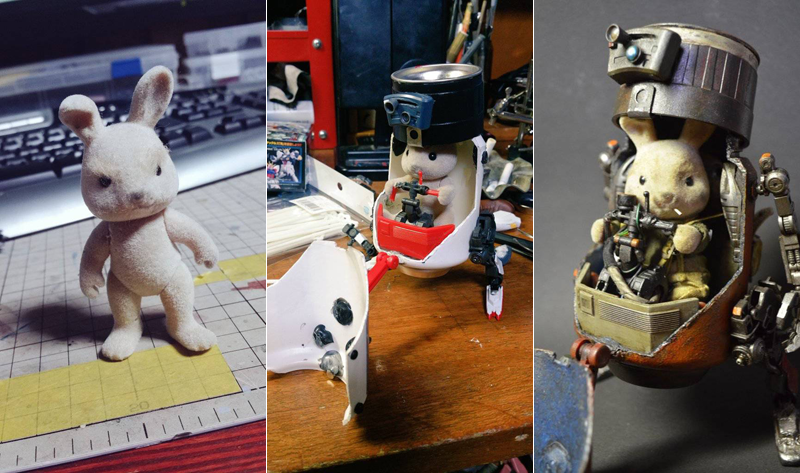 An average-looking cute bunny rabbit, some plastic junk and almighty0404's superb modding skills. The result is a badass warrior, controlling a small bipedal mech, absolutely not made from soda cans. Could be a funny character in some alternate Star Fox universe where Peppy Hare joined the infantry.